Every so often a fighter comes along who embodies their city in a way that very few others do. Paddy ‘The Baddy’ Pimblett (14-2-0) is one of those fighters. Pimblett lives and breathes his city. He is Liverpool. Pimblett has been synonymous with Cage Warriors for such a long period of time that it’s hard to believe that he’s just 23 years old. Since making his debut for the promotion as an 18-year-old bantamweight, he has gone on to perform under the Cage Warriors banner 11 times, capturing the featherweight title along the way, building an army of fans across the country and becoming, for many people, the face of Liverpool MMA. It is a match up which is being billed by Cage Warriors as the biggest fight in European MMA and it’s easy to understand why. In a little over three weeks time, local hero Paddy “The Baddy” Pimblett (14-2-0) will make the familiar walk to the cage at Liverpool’s Echo Arena to meet Søren “The True Viking” Bak (11-1-0) with the winner being crowned the Cage Warriors lightweight champion. Earlier today, Cage Warriors announced the addition of a huge fight to their CW96 event, set to take place on September 1st at Liverpool’s Echo Arena. 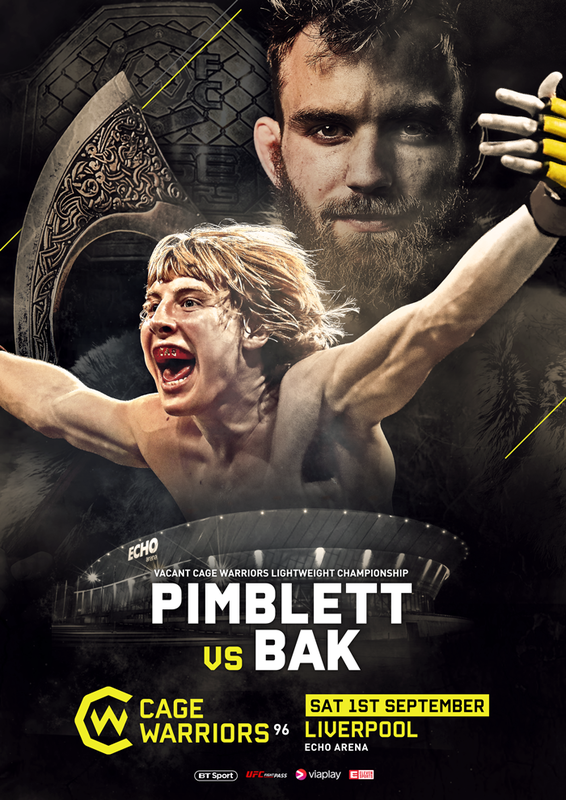 Paddy ‘The Baddy’ Pimblett (14-2-0) returns home to face Søren ‘True Viking’ Bak (11-1-0) with the winner set to be crowned the new Cage Warriors lightweight champion. Almost 2 years to the day since capturing the featherweight title in front of a packed out Echo Arena in Liverpool, Paddy Pimblett, will compete for the lightweight belt. Standing in his way is Denmark’s Søren Bak, who earned his shot at lightweight gold after submitting Alexander Jacobsen in devastating fashion at CW93. The fight is being billed as the biggest fight in European MMA, and comes just months after 8 ex-Cage Warriors fighters made the walk to the cage at the Echo Arena for UFC Liverpool. 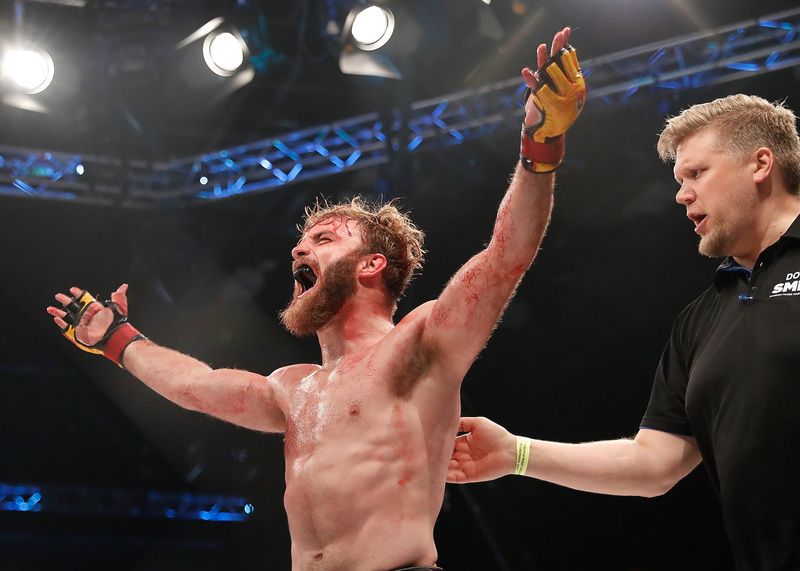 The animosity between Pimblett and Bak has already begun, with both contenders calling each other out at Cage Warriors events earlier this year and taking to social media to continue the rivalry. This is fast becoming the most talked-about fight on the European scene, and will see an army of fans from both Liverpool and Bak’s native town of Copenhagen, Denmark descend on the Echo Arena for Cage Warriors’ biggest event yet. The Cage Warriors lightweight title has a storied history having previously been held by UFC superstar Conor McGregor and 8-fight UFC veteran Stevie Ray. 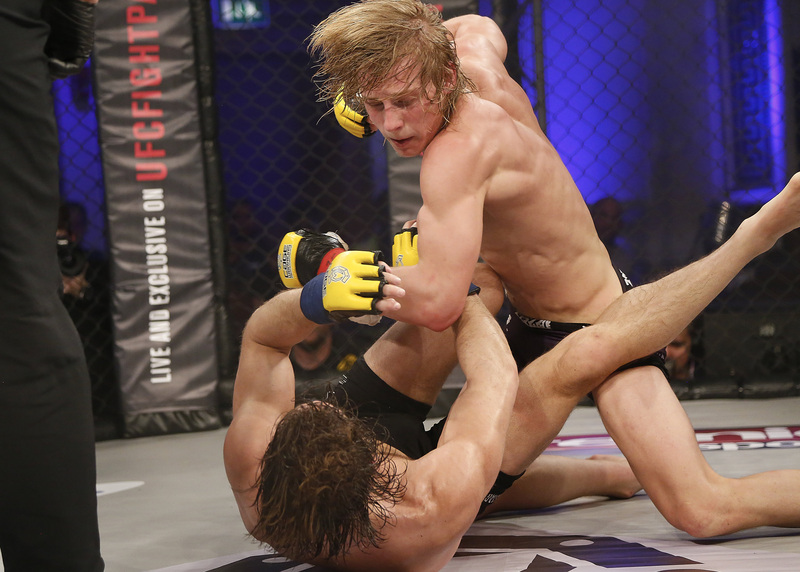 Cage Warriors’ most recent lightweight champion, Pimblett’s Next Generation MMA teammate Chris Fishgold, recently signed with the UFC leaving the belt up for grabs. Pimblett had this to say after Bak’s taunts last week. ‘The Baddy’ is known for his spectacular fight style, and pulled off a highlight-reel flying triangle submission at CW90 in February – his 10th finish since his pro debut in 2012. Bak, who watched the fight from Denmark, confessed he was less than impressed with Pimblett’s performance, and that “he’s going to get smashed if he tries that against me.” .